Donabate (Irish: Domhnach Bat) is a small coastal town in Fingal, Ireland, about 20 kilometres (12 miles) north-northeast of Dublin. The town is on a peninsula on Ireland's east coast, between the Rogerstown Estuary to the north and Broadmeadow Estuary to the south. Donabate is a civil parish in the ancient barony of Nethercross. Donabate is also a parish in the Fingal North deanery of the Roman Catholic Archdiocese of Dublin. The Donabate peninsula forms a distinctive hammer-head shape. This is because each of the mouths of both estuaries surrounding the peninsula are partially closed by large sand spits stretching north to south. The northern spit contains Portrane beach which almost touches Rush South Beach but for a narrow channel entering the Rogerstown esutary. 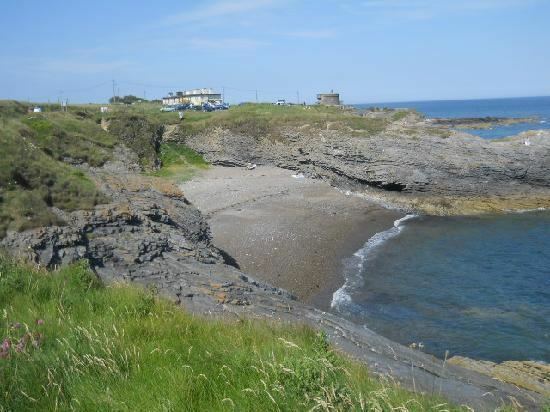 A stretch of low limestone cliffs to the south of Portrane beach leads to Donabate Beach which is the east face of the southern spit. The southern Broadmeadow estuary is likewise almost completely enclosed and is fed by the broadmeadow river. The shelter provided by the spits had made the estuaries important wildlife habitats and both are protected under the international Ramsar Convention. 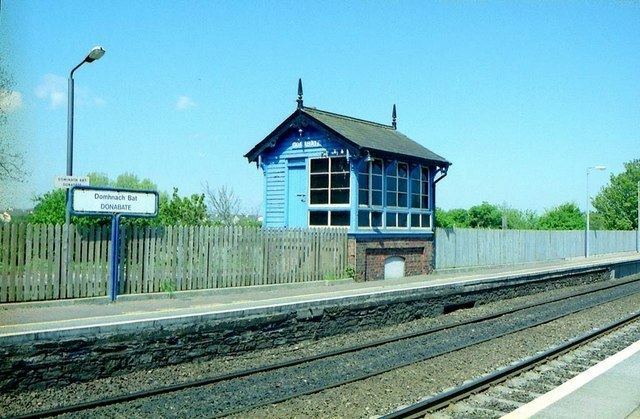 Donabate is reported to have had a population in 1912 of 734 persons living in 150 houses, and it remained a small village for more than a century. In recent years, however, because of the area's easy access to Dublin (improving roads and the presence of a railway station in the village), the population has begun growing quickly. In the 1996 census, the village's population was 1,868; by the time of the 2002 census it had doubled to 3,854, and by the 2011 census it was 6,778. Administratively, Donabate is in Fingal, which is also known as North County Dublin. The Donabate-Portrane peninsula is in the Swords ward (or local electoral area, to give it its official title). The Swords ward is numerically the largest in Fingal county and elects five county councillors to Fingal County Council. In terms of national elections, the Donabate Portrane peninsula is in the Dublin North constituency, which sends four Teachta Dála to Dáil Éireann. Donabate Portrane Community Council is the community council for the Donabate Portrane Peninsula. Donabate Portrane Community and Leisure Centre is the area's newest public building, that opened in 2001. The town has an active Chamber of Commerce, Scout Group (63rd Dublin 14th Port Donabate), and two soccer clubs (St. Ita's A.F.C and Portrane Athletic), a G.A.A club (St. Patrick's), a Karate club, a Tae-Kwon Do club, a snooker club, a Historical and Folklore Society, Tidy Towns Committee, a Bridge club, a Community centre and many more groups. Donabate is well known for its high concentration of golf courses. There are five courses on the peninsula, many with views of the estuaries or the open sea and including links courses such as The Island which is ranked as one of the top 20 courses in Ireland. St. Patrick's GAA (Cumann Lúthchleas Gael, Naomh Pádraig) club in Donabate dates from 1924. It is an active club with a membership of over 300 as of 2009. The club play at Robbie Farrell Park, Ballymastone in Donabate. Gaelic Football and Hurling are played at adult level as well as at under-age levels from an expanding nursery section. The club colours are green and black. St. Itas Athletic Football Club has been active in Donabate Portrane from the early 20th century. They currently play in the leinster league and field many underage players. The main pitch is the grounds of the St Ita's Hospital and they also play on pitches in Portrane and Balcarrick Road. Club colours are green and white. Although Ireland's east coast is not ideal for surfing, surfers are regularly seen at Donabate beach. Kayaking, sailing and wind surfing are popular water sports especially in the Broadmeadow estuary with access from Donabate and Malahide. There are marinas in Rush and Malahide. Kite surfing is rising in popularity on the beaches of Portrane, Rush and Skerries. The use of jet skis and fast power boats is restricted by law in the estuaries and beaches and regulated by permit. Both Donabate and Portrane beaches are manned by lifeguards during the summer months. In 2009 Portrane beach was among several Irish beaches to lose its blue flag status for beach excellence due to poor water quality, but has since regained blue flag status and from 2011 to 2015 has had a status of Good or Excellent. The Portrane Hockey club has enjoyed a long tradition since 1919 and enjoyed success in the Leinster senior league. The club suffered from the introduction of compulsory synthetic pitches in the 1990s as they were unable to continue use their grass pitch in St.Itas hospital. However the club had remained active and hope to move to an all-weather pitch on the site of the Secondary School scheduled for September 2010 But a flood caused the pitch to be unsafe for play. Now in 2015 the pitch is up and running again. The hunter trials of the Ward Union Hunt are held in Corballis Donabate. Donabate has a fine historical "Big House and Estate" at Newbridge Demesne. Newbridge House is a Georgian mansion built for Charles Cobbe, Archbishop of Dublin in 1736. It sits on 370 acres (150 ha) of eighteenth century landscape parklands with perimeter woodland belts and fine vistas across lawns and wildflower meadows. The estate was bought by Fingal County Council in a unique arrangement with the Cobbe family in 1985 and is now a public park, playground and model farm, while the family continue to maintain an apartment within the main building on a part-time basis. The park is a popular recreational area all year round, and also contains playing pitches used by local sports clubs. Newbridge House was a location for the 1965 film The Spy Who Came in from the Cold (film). In 2009 a previously unrecognised rare portrait of William Shakespeare was found to have been hanging in the drawing room of the house. The Farm at Newbridge can be found to the west and north of Newbridge House and beside the Walled Garden. Between 1989 and 1990 the County Council Parks Department undertook the renovation, reconstruction and restoration of the Courtyard, Haggard and adjoining buildings restoring it to its 19th-century Victorian character. A wide range of farm animals and fowl are now housed here, including many rare or show breeds, and it is a popular visitor attraction. Donabate has a vibrant Transition Town movement. There are currently a number of projects running in the Donabate area including a local weekly food market, and also to transform the disused St Ita's Gardens & Farm into a working community farm and orchard. The plan includes: bridges over the estuary; pedestrian links with Newbridge and the village; parking facilities; allotments; look-out towers; a new park on the old baleally landfill on the north side of the estuary; picnic areas;and 8 kilometres (5 miles) of woodland and grassland trails. Rogerstown Estuary is an important wetland habitat. It has several designations in recognition of this including that of Statutory Nature Reserve. Bird Watch Ireland owns land on both north and south shores of the inner estuary and played a large role in preserving the area in its natural state in spite of its proximity to large urban areas by purchasing tracts of land and entering into management agreements with the Council and landowners. The Fingal Branch of Bird Watch Ireland operates two hides in Rogerstown which are wardened at weekends during certain times of the year. Broadmeadow Estuary, like the Rogerstown Estuary, is designated a Special Area of Conservation (SAC) and Special Protection Area (SPA). The estuary has an internationally important population of Brent Goose and nationally important populations of other species of birds. 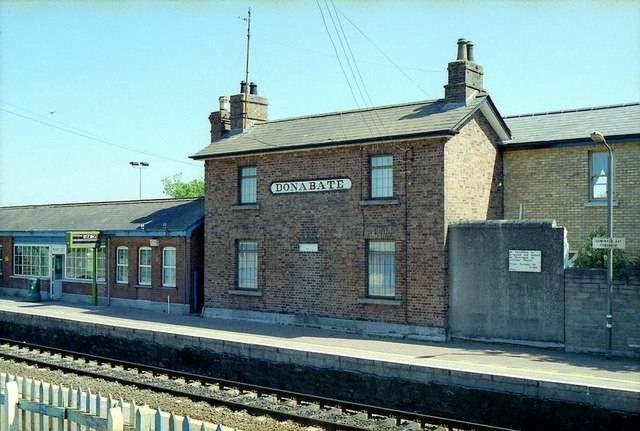 Donabate railway station, in the centre of the town, is on the Dublin–Belfast main line and is served by Northern Commuter line trains between Dublin and Dundalk. The Transport 21 infrastructure plan envisages electrification north of Malahide and through Donabate as far as Balbriggan by 2015, though this has since been delayed. Trains serving Donabate would be incorporated into a new DART service between Balbriggan and Hazelhatch and Celbridge, south of the capital, using the planned Interconnector rail tunnel beneath Dublin city centre. On 21 August 2009 the 18:07 train from Balbriggan to Connolly was passing over the viaduct when the driver noticed a subsidence and the embankment giving way on the northbound track. The train passed over the bridge before it collapsed and the driver alerted authorities. A major catastrophe was avoided but commuters faced significant subsequent disruption. The R126 regional road, connecting Portrane to the R127 and the M1 motorway, runs through the town. Dublin Bus service 33b from Swords to Portrane and 33d from Custom House Quay to Portrane serve Donabate.